A useful collection of links that could really help you in your time of need. The NSPCC's vision is to end cruelty to children in the UK. They campaign to change the law, provide the NSPCC Helpline, offer advice for adults, and much more. ChildLine is a free 24 hour counselling service for children and young people up to their 19th birthday in the UK. ChildLine deals with any issue which causes distress or concern, common issues dealt with include child abuse, bullying, parental separation or divorce, pregnancy and substance misuse. Devon Home Choice offer affordable housing options in Devon. 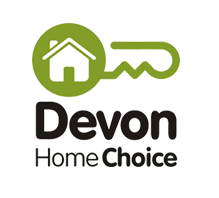 There are Council and housing association homes available to rent and shared ownership homes, all advertised through Devon Home Choice. Shelter campaigns to end homelessness and bad housing. It gives advice, information and advocacy to people in need, and tackles the root causes of bad housing by lobbying government and local authorities for new laws and policies to improve the lives of homeless and badly housed people. The Amber Homeless Helper is a free-to-download SmartPhone Application providing information on many of the services available to young homeless people throughout the country. Available on Apple and Android devices, it is designed to provide as much information as possible to help people find the right support". Exeter YMCA provides accommodation and support to young people from across Devon. To live at Exeter YMCA you must be between the ages of 16 and 29 and have a housing need. If you would like information on how to apply to our Supported Housing, our criteria, or simply a bit of advice and guidance, please get in touch!  Nightstop Devon provides emergency overnight accommodation for young homeless people, between the ages of 16-25, in the homes of volunteer hosts who have been trained in regard to homelessness issues, and who have also been checked by the Criminal Records Bureau. Young People are referred to Nightstop by agencies and are risk assessed before being placed with a suitable host. Nightstop then works with the young person and other agencies to find them longer term accommodation.